During the initial consultation, I value a collaborative approach to understanding the issues that have brought a client to call for therapy. We can work closely together to understand the situation and create an approach which is individualized to meet their specific needs. I have received training in a variety of therapeutic approaches and appreciate the importance of modifying the therapy to more fully address the problems that are presented. I do strive to have an understanding of how a client’s past is influencing their current relationships and mood in order to see if there are patterns that can be addressed. Based on the issues, I might utilize cognitive behavioural techniques, systems theory, psycho-education or psychodynamic therapy techniques. Providing a safe and empathic relationship where the client feels understood and comfortable is integral in achieving a constructive therapeutic dynamic. Confidentiality is implied in this process, especially when living in small international communities. Along with individual therapy for adults, I offer therapy and counseling for adolescents as well, focusing on cultural transition issues and other issues related to development and identity. Anger management is also a focus and one approach I use is cognitive behavioural therapy, among others, depending on the problem. My practice focuses on the ex-pat population around Den Haag, covering Wassenaar, Leiden, Voorschoten, Leidschendam, Voorburg and other cities in the Randstad. I also have close professional relationships with other mental health professionals in the area such as psychiatrists, as well as with local general practitioners. 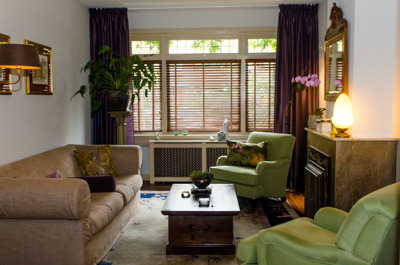 My practice is open 5 days a week in Wassenaar, by appointment only. I do offer phone or Skype sessions as needed if a client is travelling or is otherwise unable to make it to the office. Copyright © 2019 Shane Griffin. All Rights Reserved. The Matheson Theme by bavotasan.com.